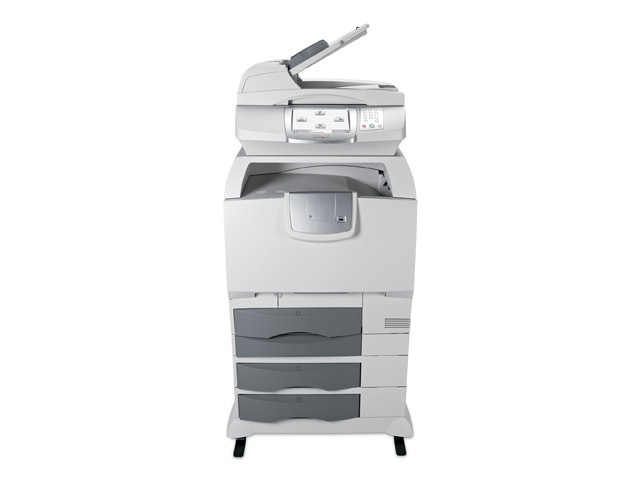 The Lexmark X782e MFP unites brilliant colour output with a rich range of high-performance features – all accessible via an incredibly large, intuitive touch-screen interface. Lexmark has mastered the art of colour, as well as the art of controlling it! With our newly enhanced toner, you can liven up your business documents with crisp text, rich flesh tones and consistent images from first page to last. And you can also control colour-output costs effectively at every level of your workflow. These devices come equipped with a complete range of colour-cost-control tools, such as colour-print permissions and a coverage estimator to assess the cost of a job before printing. Now, performing workflow tasks is extraordinarily simple for any type of user. 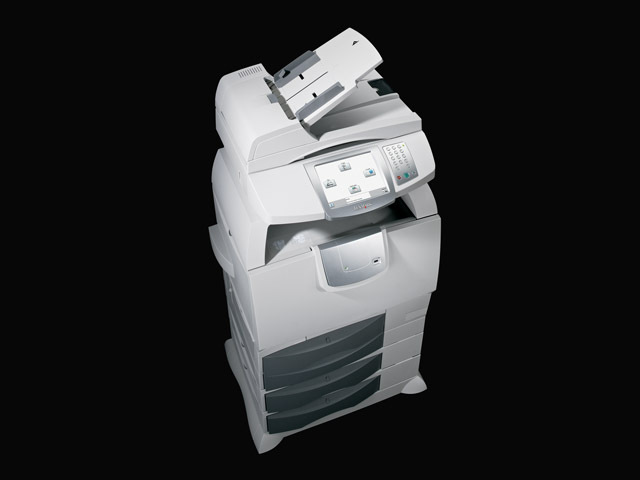 That’s because Lexmark’s colour laser MFPs are designed with a super-intuitive, award-wining touch-screen interface. Incredibly large, vivid and fully customisable, it makes working a breeze. Whether you want to scan documents, print in duplex, pull up email addresses or preview documents before you print, it’s all as easy as a couple of touches of the screen. A world of possibilities at your fingertips! At Lexmark, we’re always working hard to ensure you achieve maximum productivity and minimum downtime. Our colour-laser MFPs include our solid service guarantee of One-year On Site Repair, with a response time of next business day (in serviceable areas). For an even greater level of peace of mind, you can opt for one of our extended-guarantee service offerings. For more information on any of these offerings, just contact your local dealer or visit us today at www.lexmark.com. In today’s competitive business world, it’s more important than ever to ensure your workgroups are armed with all the tools they need to stay productive. One of the most effective ways to achieve this is by integrating Lexmark’s high-performance colour MFPs, which consolidate all your critical document functions into a single space-saving device. In addition to brilliant colour output and ultra-fast print speeds, you’ll benefit from advanced scanning, copying, faxing and much, much more! Corporate information is one of your most valuable assets, and protecting it is absolutely critical. Lexmark’s colour MFPs come equipped with the most sought-after security features to ensure this information always stays safe and sound. In addition to advanced user-access restriction tools, you’ll benefit from a wide range of data-security features too, from disk wiping and encryption to secure data transmission (Secure Socket Layer) and confidential printing. If you’re still printing, shipping and processing piles of hardcopies, this may be eating into your profits on a daily basis. Lexmark’s colour-laser MFPs provide the ideal platform to benefit from Lexmark’s enterprise workflow solutions, which include distributed capture, electronic document distribution, on-demand forms and many others. Whether embedded or server-based, these solutions help you print less, lower costs, reduce waste and streamline your business processes dramatically.